This is my old eMAC G4. I wanted to buy a G4 Powerbook-laptop for the shooting to download the P2-cards. 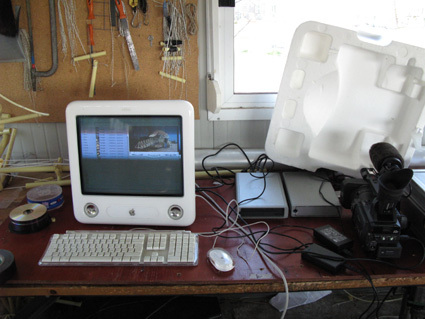 But I didn´t find one at the internet, so I took my eMAC.